Jacobs Audiology is a full-service audiology practice serving adults and children of all ages. For more than 25 years, our clinicians have provided diagnostic testing and hearing solutions for those in the DC suburbs and Southern Maryland. We produce custom earmolds that conform to the shape of your ears to provide you with the most comfortable fit and give you the best sound from your hearing aids. Custom earplugs also are available for hearing protection for occupational or home use. Our hearing experts perform state-of-the-art diagnostic testing to diagnose the cause and severity of your hearing loss and how hearing aids may help improve your hearing. The evaluation includes several tests to provide you with suitable treatment recommendations. Do you suspect you have some hearing loss? The skilled clinicians at Jacobs Audiology offer specialized tests to evaluate your hearing to determine if you would benefit from hearing aids. 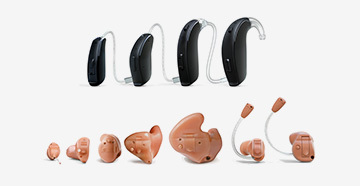 When test results indicate hearing aids would be beneficial, the experts at Jacobs Audiology will work to find the right devices for your needs. During the hearing aid fitting, adjustments are made to ensure your new hearing aids fit well, are comfortable and serve your needs. Whether it’s a minor issue or a major problem, we can examine your hearing aids to determine the degree of any damage. Many minor repairs and adjustments can be made at our Bowie and Prince Frederick offices. We also provide routine maintenance to ensure your hearing aids stay in tip-top shape. Custom-made earplugs are available to help musicians reduce the risk of hearing damage due to exposure to high levels of sound, sometimes over prolonged periods of time. These earplugs offer the optimal music experience while limiting sound exposure. For further information about our services or to make an appointment, contact our Bowie location at 301-860-1124 or our Lexington Park location at 410-535-0024.